According to Section 10 of the Strata Schemes Management Act 2015 – Minor renovations to common property relating to the owner’s lot are allowed, with the approval of the owner’s corporation given by resolution at a general meeting. Clause 28 of the Strata Schemes Management Regulation 2016 includes the installation of a reverse cycle split system air conditioner in the definition of minor renovation works. If it isn’t a reverse cycle split system, it is not classed as ‘minor renovation’ works. For more information check your strata schemes by-laws. 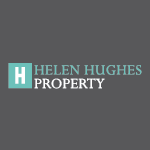 Previous Previous post: Are you looking for a quality tenant who will look after your property?